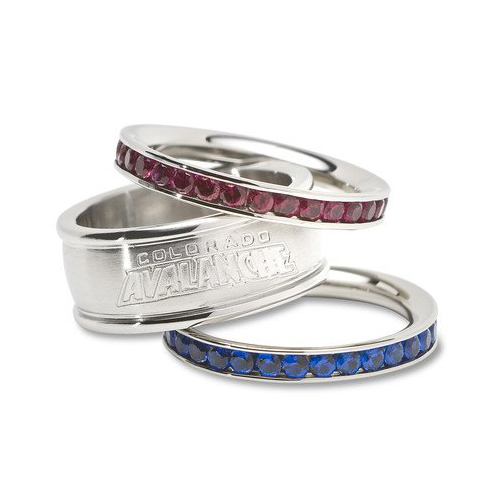 Colorado Avalanche crystal team logo ring set contains stackable team colored crystal rings and a logo ring. This official product is fully licensed and made using intricate metal molds and injected patterns for amazing detail. Rings measure approximately 5/8 inch wide when stacked together. Offered in ladies sizes 6, 7, 8 and 9. Comes with leatherette pouch for protection.